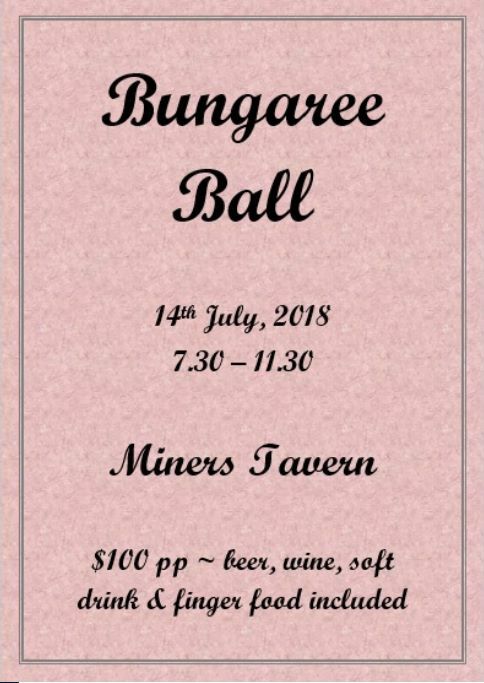 Join us for the 2018 Bungaree Ball! After great success last year, we will once again be hosting the ball downstairs at the Miners Tavern, in Lydiard Street, Ballarat. The ball is being held on the 14th of July, come dressed to impress and the night will commence at 7.30pm. Tickets for Bungaree’s night of nights are $100pp, which includes unlimited beer, wine and soft drink for the night (7.30 to 11.30), as well as finger food. There will once again be live music all night long, so make sure you get along for what is always a fantastic night on the Bungaree calendar.